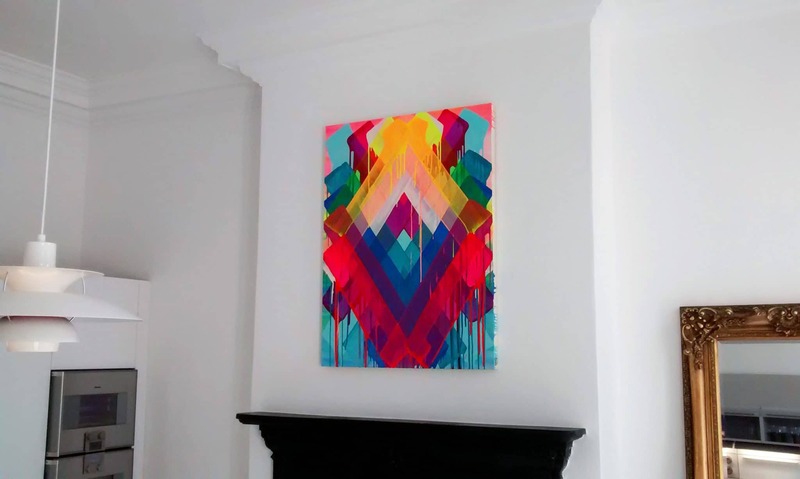 Vibrant neon canvas painting hung portrait, on a chimney breast in a living room. Published January 4, 2017 at 2430 × 1456 in Vibrant neon canvas painting hung portrait, on a chimney breast in a living room. Vibrant neon canvas painting hung portrait, on a chimney breast in a living room in Haywards Heath.